Did Jesus of Nazareth really rise from the dead? Of the many world religions, only one claims that its founder returned from the grave. The resurrection of Jesus Christ is the very cornerstone of Christianity. But a dead man coming back to life? In our sophisticated age, when myth has given way to science, who can take such a claim seriously? Some argue that Jesus never died on the cross. Conflicting accounts make the empty tomb seem suspect. The Medical Evidence—Was Jesus' death a sham and his resurrection a hoax? The Evidence of the Missing Body—Was Jesus' body really absent from his tomb? The Evidence of Appearances—Was Jesus seen alive after his death on the cross? Written in a hard-hitting journalistic style, The Case for Easter probes the core issues of the resurrection. Jesus Christ, risen from the dead: superstitious myth or life-changing reality? The evidence is in. The verdict is up to you. Did Jesus of Nazareth really rise from the dead? Of the many world religions, only one claims that its founder returned from the grave. The resurrection of Jesus Christ is the very cornerstone of Christianity. But a dead man coming back to life? In our sophisticated age, when myth has given way to science, who can take such a claim seriously? Some argue that Jesus never died on the cross. Conflicting accounts make the empty tomb seem suspect. How credible is the evidence for—and against—the resurrection? Focusing his award-winning skills as a legal journalist on history's most compelling enigma, Lee Strobel retraces the startling findings that led him from atheism to belief. He examines: The Medical Evidence—Was Jesus' death a sham and his resurrection a hoax? The Evidence of the Missing Body—Was Jesus' body really absent from his tomb? The Evidence of Appearances—Was Jesus seen alive after his death on the cross? 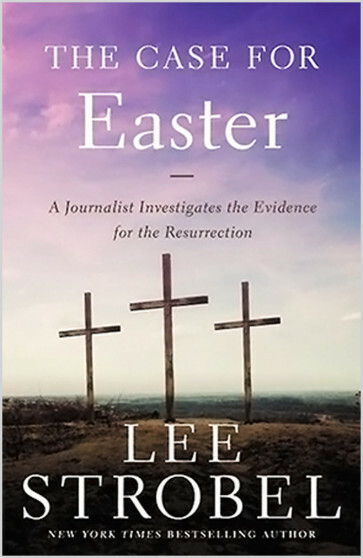 Written in a hard-hitting journalistic style, The Case for Easter probes the core issues of the resurrection. Jesus Christ, risen from the dead: superstitious myth or life-changing reality? The evidence is in. The verdict is up to you.